Winter styling can often result in outfits that look and feel cumbersome and chunky, as a result this can diminish your confidence and actively hinder the look you’re going for. However, winterwear doesn’t necessarily have to mean you you lose all elegance and sophistication from the way you dress. So we’ve put together 3 simple ways to help keep your winterwear smart and chic without sacrificing comfort and warmth. A good quality scarf can really help accentuate the subtle elegance of a good outfit by using splashes of colours, patterns or textures to add contrast to the overall look. They can also change how casual or smart an ensemble looks depending on how they are worn with it. Spending money on a good quality scarf will ensure you have something that is versatile enough to work with a variety of styles whilst still providing warmth and protection against the cold. Ted Baker are currently providing a great collection of styles and we’ve featured just a few of them above. Belted trench coats are a classic and timeless way of ensuring you step out into the cold looking sharp and elegant. With a variety of designs, fits, colours and cuts, the trench coat is a flexible piece of winterwear fashion that exudes sophistication and Parisian chic-style. If you’re going for the iconic look then we suggest investing in a brand like Burberry, if you’re budget is not able to stretch this far there are some great alternatives from Zara and River Island. We’ve already spoken about the necessity of winterwear this season and the ways it can be used to change the look and feel of winter outfits. However, the roll-neck jumper is definitely one of the most iconic pieces to have been highlighted as a must-have this winter season. A true example of European chic design that instantly gives elegance to any outfit. Knitwear experts John Smedley have a great range, as well as Charles Tyrwhitt and Reiss. 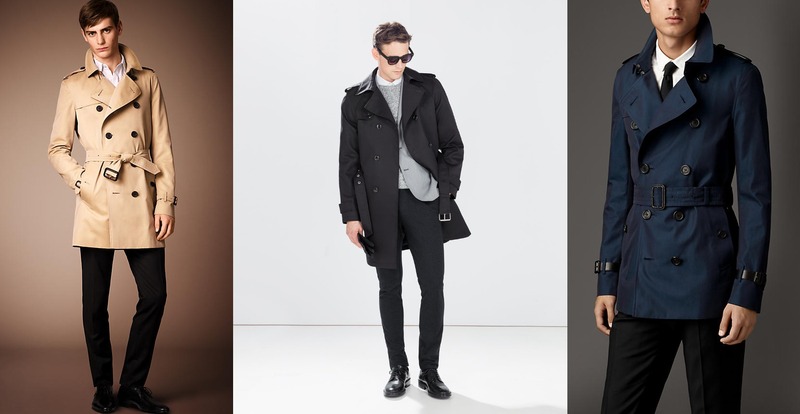 That covers our round-up of the best men’s style tips for keeping warm in winter. As always, feel free to comment, like and share with your friends if you’ve enjoyed the article. Be sure to subscribe for future updates from The Male Stylist and keep an eye out for future competitions.